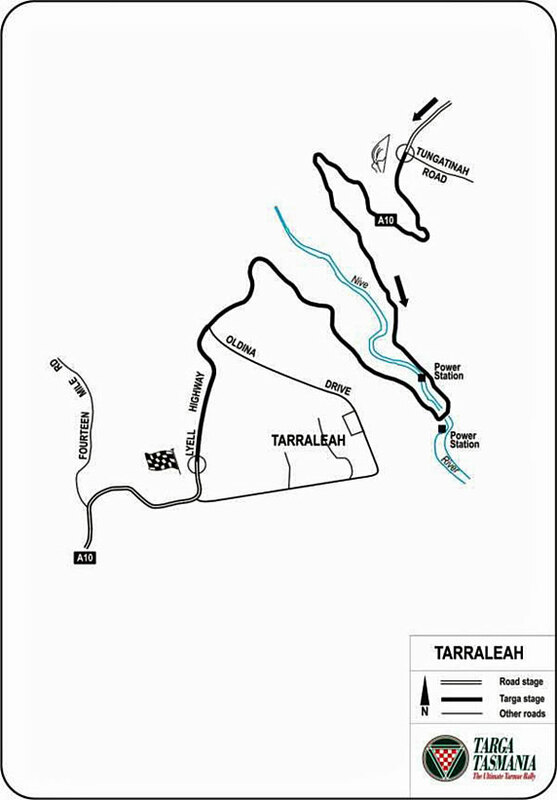 DAY 5 of the 26th annual Targa Tasmania will see the fleet make its way from the West Coast tomorrow, passing through the Derwent Valley with competitive stages at Tarraleah and Molesworth and a lunch break at New Norfolk. There will be a number of road closures in the Central Highlands and Derwent Valley municipalities. At Tarraleah, the Lyell Highway between Tungatinah Rd and Oldina Drive (southern end) will be closed from 9.30am to 2pm. There will be partial road closures for High St and Bathurst St in New Norfolk for the lunch break between 11am and 3.30pm. Cars are expected to file thought the town throughout the time that period, with Arthur Square being the best place for a close-up look at the entrants. At Molesworth, Molesworth Rd will be closed between Glen Dhu Rd and Glenlusk Rd from 12.20pm to 4.50pm for the competitive stage in that area. 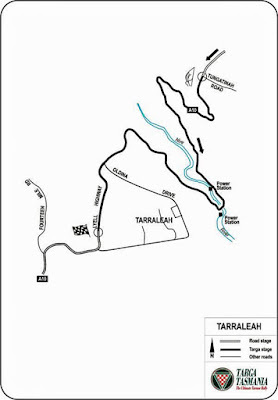 Tarraleah stage. Click image to enlarge. 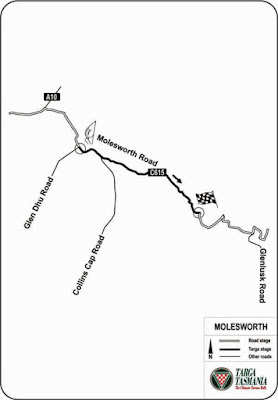 Molesworth stage. Click image to enlarge.